Contacting me: Please check my office hours on my door. If you need to see me urgently send me an e-mail message. I joined Keele in 1996 from Wolfson College, Cambridge, where I had been a postdoctoral Research Fellow for the previous three years. 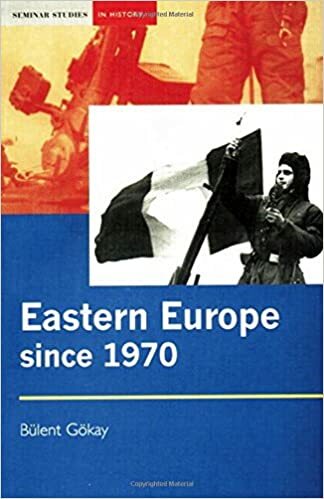 Before coming to Keele, I worked at the Birkbeck College-London, University of North London, and at the University of Cambridge, teaching the history of Soviet Union, Russian Revolution, Weimar Republic, Eastern Europe and the Balkans, Intelligence and International Politics. I am the founder and the Managing Editor of the Journal of Global Faultlines. I am trained/experienced in historical and political-economy analysis. My research to date has involved extensive literature reviews and textual analysis. My research expertise has been built across two interrelated strands: the political and social history of post - WW1 settlements, and political-economy analysis of resource competition in Eurasia. Since 2008, I have been developing my historical analysis of the global financial/economic crisis using a geological metaphor ‘global faultlines’ to sketch out points of fracture linked with factors such as the collapse of major banks, declining industrial capacity and depletion of natural resources. ‘Tectonic Shifts and Systemic Faultlines: A Global Perspective to Understand the 2008-2009 World Economic Crisis’, Alternatives, Volume 8, Number 1, Winter 2009. ‘ Global Trends, Faultlines and Tectonic Shifts: A Historical Perspective on the 2008-2009 Crisis’, (joint article with Darrell Whitman), Radical Notes, June 2009. 'Tectonic Shifts and Systemic Faultlines: the Global Economic Crisis', Socialism and Democracy, July 2010, (joint article with Darrell Whitman). 'Ragip Zarakolu, symbol of freedom of expression and human rights in modern Turkey', openDemocracy, February 2012. Fouskas VK and Gökay B. 2012. The Fall of the US Empire, Global Fault-Lines and the Shifting Imperial Order. Pluto Pr. Gokay B. 2012. Soviet Eastern Policy and Turkey, 1920-1991: Soviet Foreign Policy, Turkey and Communism. (8 vols.). Routledge. Gokay B and Fowkes B. Gokay B and Fowkes B (Eds.). 2011. Muslims and Communists in Post-Transition States. (Six vols.). Routledge. GOKAY B. 2006. Politics of Oil: A Survey. Routledge. GOKAY B. 2006. 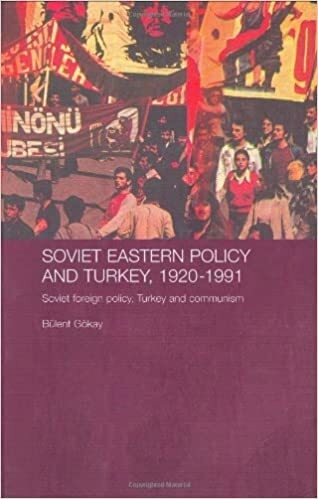 Soviet Eastern Policy and Turkey, 1920-1991. Routledge. GOKAY B and V. Fouskas. 2005. The New American Imperialism: Bush's War on Terror and Blood for Oil. Praeger Greenwood. Gokay B. Gokay B (Ed.). 2004. Turkey, Greece and Cyprus: Security Across the Borderlands of A New Europe. Keele European Research Centre, Keele. Gökay B and Walker RBJ. kay BG and Walker RBJ (Eds.). 2003. 11 September 2001: War, Terror and Judgement. Frank Cass, London. Gökay B and Walker RBJ. kay BG and Walker RBJ (Eds.). 2002. 11 September 2001. War, terror and judgement. Keele European Research Centre, Keele University. Gökay B. kay BG (Ed.). 2001. Eastern Europe since 1970. Longman, London. Gökay B, Drezov K, Waller M. Waller M, Drezov K, kay BG (Eds.). 2001. Kosovo. The Politics of Delusion. Frank Cass, London. Gökay B, Spatharou A, Sinker R, Hadjian A, Peuch J-C, Kasim K, Towner A. kay BG (Ed.). 2001. The Politics of Caspian Oil. Palgrave, London. GOKAY B. 2009. The 2008 World Economic Crisis: Global Shifts and Faultlines. Global Research. GOKAY B. 2009. Tectonic Shifts and Systemic Faultlines: A Global Perspective to Understand the 2008-2009 World Economic Crisis. Alternatives, vol. 8(1), 19-58. Gökay B and FOUSKAS V. 2008. Vassilis K. Fouskas. and Bülent Gökay. "An Agenda for the Next American President." Mediterranean Quarterly 19.3 (2008): 99-114. Mediterranean Quarterly: a journal of global issues, vol. 3(19), 99-114. GOKAY B. 2005. The Beginning of the End of the Petrodollar: What Connects Iraq to Iran. Alternatives, vol. 4(4), 40-56. GOKAY B and Whitmasn D. 2004. GHOST DANCE: The U.S. and Illusions of Power in the 21st Century. Alternatives, vol. 3(4), 60-91. Gokay B. 2004. Russia and Chechnia: A long history of conflict, resistance and oppression. Alternatives. Turkish Journal of International Relations, vol. 3(2 and 3), 1-18. Gökay B. 2002. The most dangerous game in the world: oil, war and US global hegemony. Turkish Journal of International Relations, vol. 1(2), 47-68. Gokay B. 2011. An Unholy Alliance against the Common Enemy: A History of Communists' Relations with Muslims. In Muslims and Communists in Post-Transition States. Fowkes B and Gokay B (Eds.). Routledge. Gokay B. 2008. Oil and Capitalism in the 21st Century: ‘Peak Oil’ and the End of the ‘Cheap Oil Economy'. In Cultural Practices, Political Possibilities. Cambridge Scholars Publishing. GOKAY B. 2006. How Oil Fuels World Politics. In Politics of Oil: A Survey. Gokay B (Ed.). Routledge. GOKAY B. 2005. The Kurdish Question in Turkey: Historical Roots, Domestic Concerns and International Law. In Minorities, Peoples and Self-Determination. Ghanea N and Xanthaki A (Eds.). Martinus Nijhoff Publishers. Gokay B. 2004. The most dangerous game in the world: oil, war and US global hegemony. In September 11 and World Politics. Bacik G and Aras B (Eds.). Fatih University Press, Istanbul. GOKAY B. 2003. The United States Against the World: Oil, Hegemony and the Militarization of Globalization. In 11 September 2001: War, Terror and Judgement . Gokay B and Walker RBJ (Eds.). Frank Cass Publishers. GOKAY B. 2002. Seyh Samil Anti-Emperyalist Bir Kahraman mi, Yoksa Karsi-Devrimci Bir Yobaz miydi?. In Cecenistan: Yok Sayilan Ulke, Istanbul. Everest Publishing. Gökay B. 2002. The United States versus the world: oil, war, geopolitics and global economy. In 11 September. War, Terror and Judgement. kay BG and Walker RBJ (Eds.). Keele European Research Centre, Keele University. Gökay B. 2001. History and Political Change. In The Politics of Caspian Oil. kay BG (Ed.). Palgrave, London. Gökay B. 2001. The Politics of Oil in the Black Sea Area. In Politics of the Black Sea. Aybak T (Ed.). I B Tauris, London. Gokay B and Serin V. 2009. A Global Perspective to Understand the 2008-2009 World Economic Crisis. http://xa.yimg.com/kq/groups/17875166/452461551/name/conf09program.pdf. GOKAY B. 2006. Iraq, Iran and the end of petrodollar: The waning influence of the USA in the Asian century. GOKAY B. 2003. A Changing Turkey: Europe's Dilemma. GOKAY B. 2002. Battle of the black gold: oil, war and geopolitics from Kosovo to Afghanistan. Gokay B. The shifting of Economic Power towards Asia. In B. Gokay (Ed.). http://www.asianpa.net/sayfa-dosya/5abstracts.pdf (pp. 211-225). I have supervised, as Lead Supervisor, 17 PhD students to successful completion. 1. Seref Kavak, "Kurdish Diaspora in the UK"
2. Shehla Khan, "Identity and Representation in Turkey and Pakistan"
3. Mustafa Yasacan, "Turkey and Russia in the Cold War"
4. Salih Car, "Economic Secularism and Emerging Economies"
5. Aslihan Cap, "US foreign policy in the Middle East and Syrian crisis"
The Journal of Global Faultlines is a peer-reviewed, open-access, academic journal, published by Pluto Press, currently twice a year. The journal seeks to bring cutting-edge theoretical and critical reflection to bear on dominant and/or mainstream debates within international and global studies, and is committed to publish original theoretical debates, empirically-based investigations and policy discussions. The Journal of Global Faultlines attempts to cover the evolving current world situation by looking at global problems from a variety of different and overlapping perspectives: economic, political, philosophical, cultural, educational, geographical, social, and historical, among many others. The journal aims to provide ongoing open forums to discuss and analyze global problems and developments from critical perspectives or viewpoints, and thus improve understanding of the underlying forces shaping the destiny of the world in the 21st century. To this end the journal also encourages contributions from writers and disciplines that are not commonly associated with the study of the aforementioned academic fields of study. Contributions from scholars working around the globe are particularly welcome. The journal endorses a full peer review process, consisting of editorial selection followed by at least two anonymous peer-reviewers. The journal, currently published electronically only, will be published in hard (paper) copy as well from the beginning of 2017 by Pluto Journals. The Global Faultlines is a forum for the emerging patterns and perspectives of the 21st Century and the discussions and debates flowing from the current powerful transformation and set of related problems. We aim to encourage open and constructive dialogue, a platform which seeks to promote information, analysis, and opinion on various aspects of this process of historical change by providing various interpretations/ comments and reviews that are relevant to the analysis of this multidimensional process from a plurality of democratic perspectives. The site also seeks to promote original reports, analysis and debates, and short polemical interventions on topics of political significance conceived from critical perspectives from all corners of the globe. We are also interested in work that would be difficult to classify as belonging solely in either of these groups. The site is updated on a rolling basis as new material is received and edited. Global Faultlines website publishes constructive and thoughtful comments from readers.